I’m reviewing one of Amanda Prowse’s earlier books today and can I just start by saying how much I love that cover? It’s different from the paperback version I have and it’s just beautiful. As you’ll know if you are a regular reader of the blog, I am a big fan of Amanda Prowse’s writing but this one was a little different from most I’ve read as it’s set in the past, 1960s London to be precise. Would I enjoy it as much as her more contemporary novels? Well, of course I did! As with many of this author’s books, love is at the heart of the story. In this case it is a forbidden love between East End working class girl Dot Simpson and soldier Sol Arbuthnott. They meet at a function where Dot is waitressing and, unknown to her, Sol is the son of the guest of honour. So why the opposition to their love? Quite apart from the difference in social class, Sol is from St Lucia in the West Indies and nice white girls from London just don’t get into relationships with black men. The story follows the couple as they face prejudice and opposition to their relationship. My heart just went out to this young couple, so much in love and yet denied the opportunity to be together as they so wanted. They faced so much prejudice from both their families and that was really uncomfortable to read at times. The story was so heartbreaking that there was a lump in my throat on a few occasions. Yet it is also a story of great courage and never forgetting your dreams, however impossible they may seem. Things may not work out exactly as you hope but sometimes the most unexpected situations can bring joy. Clover’s Child is an emotional and romantic story and despite the sadness is also surprisingly uplifting. It is true to the attitudes of the era and although our society is by no means perfect yet, you can see how far we have come since then. Recommended to those who enjoy a touching and engaging family drama. When eighteen-year-old Dot meets Sol, she feels that love has arrived at last. Solomon Arbuthnott is a man who can bring colour and warmth to her drab life in sixties London – and what’s more, he is a young, handsome soldier with excellent prospects. Someone who wants to give her everything she has dreamed of. Someone who can promise her blue skies, laughter, sun and always, always love. And for a while, life is truly like a song. They stroll hand-in-hand by the Serpentine, dance cheek-to-cheek in Soho’s smoky bars, and begin to plan their idyllic future, growing old together in Sol’s ancestral home on the island of St Lucia. 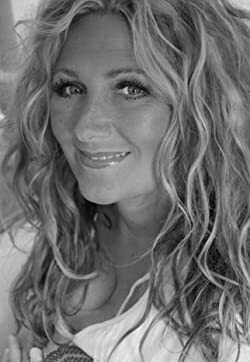 Amanda Prowse is an International Bestselling author who has had twenty novels published in dozens of languages. Her chart topping No.1 titles ‘What Have I Done?’, ‘Perfect Daughter’ and ‘My Husband’s Wife’ have sold millions of copies around the world. A popular TV and radio personality, Amanda is a regular panellist on Channel 5’s ‘The Jeremy Vine Show’ and numerous daytime ITV programmes. She makes countless guest appearances on BBC national independent Radio stations including LBC and Talk FM, where she is well known for her insightful observations and her infectious humour. I really need the time to catch up on her books. I haven’t read one in ages. She’s the only author who always manages to make cry! I hadn’t read any of these earlier ones. I believe this is a prequel of sorts to Poppy Day even though it came out later so if you are reading them, read this one first.